In 2016 they opened their second and third sites, Chancery Press in Chancery Lane and Saint Bride Press in Saint Bride Street. 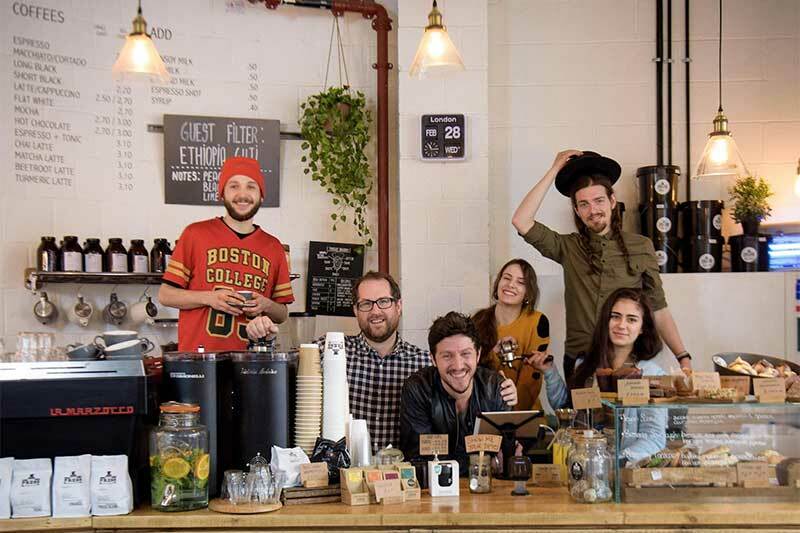 2017 was the year of the roastery for Press, and 2018 has so far seen the launch of their fourth site at the rather impressive Market Halls Fulham! 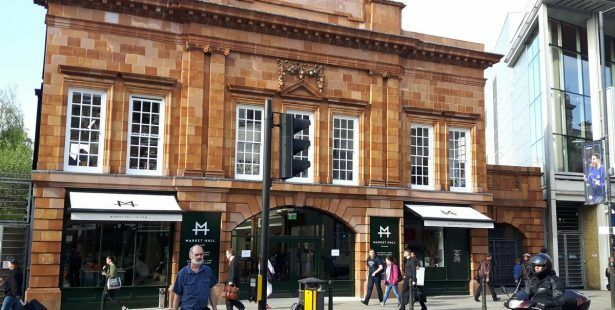 Market Halls Fulham is the first hall of it’s kind, from Pitt Cue founder Simon Anderson and leisure investor Andy Lewis Pratt. Inspired by global street food markets, it houses 10 food vendors, a bar and a coffee shop. Located in the iconic Grade-II listed Edwardian former ticket hall of Fulham Broadway Station, the original shopfronts and even the ticket office have been brought back to life, and transformed into a 200-cover dining hall. Sitting beside Press Coffee are Claude’s Deli, Soft Serve Society, Hot Box, Ahi Poke, Calcutta Canteen, Butchies, Yard Sale Pizza, and Fanny’s Kebabs. Quite an incredible line up, and only one week in, the Lewis Craig team are nearly half way through sampling the treats of all of the operators! We can’t wait to see Market Halls’ next steps, due to open in Victoria and the West End later this year… watch this space! To discuss Press Coffee, please get in touch with Theo Benedyk – tb@lewiscraig.co.uk.